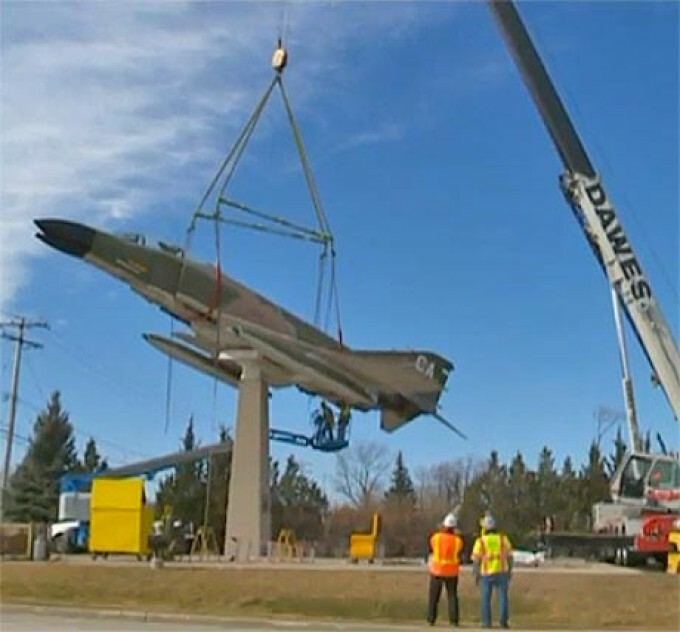 MILWAUKEE -- The warplane of Captain Lance Sijan, a Vietnam War veteran and Bay View Medal of Honor recipient, has been removed from its pedestal outside of what used to be the 440th Airlift Wing compound at Mitchell International Airport. The jet was removed from that location so that it can be placed in a more prominent spot on the western side of the airport; a place where it will be more visible to more people. Click here to view the story and video at the Fox 6 News website.